Good morning and Happy New Year! I'm a day late with my weekly recap but wanted to be sure and start the year right by continuing with my weekly post about what I've been reading and blogging about. This past week, I finished reading Shanghai Girls by Lisa See. That was my 71st book of 2011. Unfortunately, I didn't manage to write the review before the new year, so it will likely be my first review of 2012 as well. I also wrote a wrap-up of the Fall into Reading Challenge. And I did a recap of my 2011 reading and goals. I still need to write up some goals for 2012, but that will have to wait another day or two. I also have to make some changes on my blog, putting my 2011 books read list onto a page and freeing up my sidebar for the 2012 list. I also need to put together a reviews page for my challenge, and write wrap-up posts for the challenges I participated in during 2011. Hopefully I can fit most of that in this week. I started reading a nonfiction book (the first for my Non-Fiction Non-Memoir Reading Challenge) called The Art of Life by Sabin Howard and Traci L. Slatton. Now that the year is over, I have a few review books on my list to read. 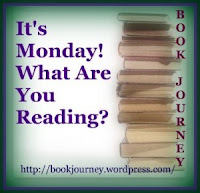 So I'm going to move on to The Ruins of Us by Keija Parssinen or No Story to Tell by KJ Steele next. I also have a middle grade book on my review list (The Secret of the Sacred Scarab by Fiona Ingram), and I need to read Unbroken by Laura Hillenbrand for my book club this month! Yikes! I haven't heard of your upcoming reads other than Unbroken.